With their broad range of properties, polymer blends are widely used in adhesion, colloidal stability, the design of composite and biocompatible materials, and other areas. As the science and technology of polymer blends advances, an increasing number of polymer blend systems and applications continue to be developed. Functional Polymer Blends: Synthesis, Properties, and Performance presents the latest synthesis and characterization methodologies for generating polymer blend systems. This one-stop resource brings together both experimental and theoretical material, much of which has previously only been available in research papers. Combining background and advanced information on technologies, methods, and applications, this practical reference is a must-have for researchers and industry professionals as well as students in materials science, chemistry, and chemical and surface engineering. "This book is well organized and written for PhD students and professionals in polymer science and technology. Fundamental knowledge on polymer blends is presented with a well-organised introduction to the polymer blend systems and the method for the miscibility enhancement. The audience can gain necessary information on recent progress in the preparation, characterisation, and applications of polymer blends. The introduction on shape memory polymer blends, strain hardening in polymer blends, and directed assembly of polymer blends exhibits active research directions in the field of polymer blends." 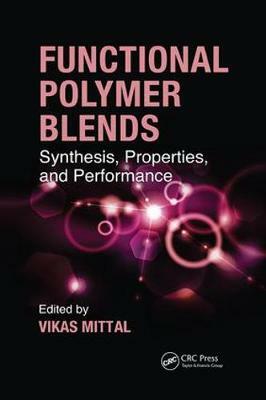 "... captures several elements missing in other published volumes on polymer blends. Examples are extensive coverage on hydrogen bonding, shape memory polymers, and cyclic linear polymer blends."